I think healthy eating and knowledge about nutrition is so important to teach our kids at an early age. While I don’t blame my parents for my weight issues ever since I can remember, I do often wonder if it would have been (and likely always will be) such a big issue for me if I had been taught healthy eating habits from the beginning. 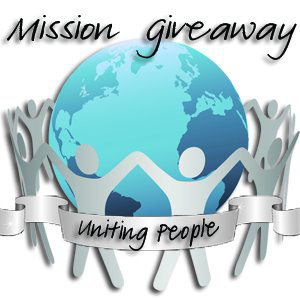 That’s why I love this week’s giveaway sponsor making healthy eating fun for kids of all ages! With the Eat to Win Game, you will eat healthy, exercise, and learn nutrition while having hilarious fun with the Interactive, FuNutrtional Board Game and Reality Edition from Eat to Win! Check out Gwen’s review of the Eat to Win Game! 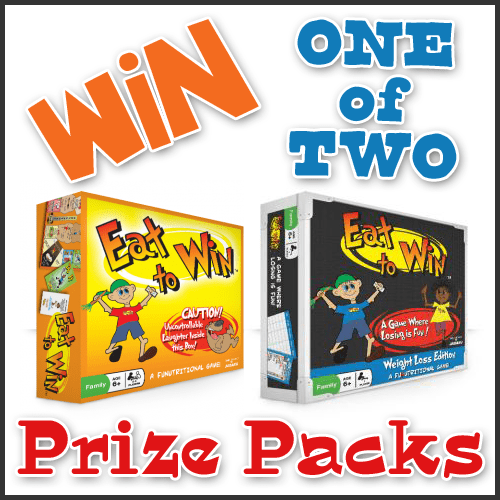 Win one of TWO prize packs from Eat to Win Game. Each prize pack will contain the Eat To Win Board Game PLUS Eat To Win Kids Reality Edition for a total value of $55!